Kumkum Bhagya: Abhi messaged Pragya and told her that food was very bad, she argues that the food was good but he is the one who is bad. They keep on fighting on the chat. Bulbul comes and advised her not to stand alone as there could be any problem. She told that Abhi is planning something to torture her and Pragya might get shocked off it. She took a promise from Dadi that she will accompany her at any situation and went to meet Purab, Bulbul has told them she had a bad dream that something bad could happen with her. Purab comes and surprised her a little bit. She told him to choose any other option to surprise her. He kisses Bulbul after arguing. He told her to find out a new excuse. All were sitting in the dining hall where Abhi argues that Pragya has sent his adult message. Rony read the message and it was written ‘I will kiss you’, Pragya told that she wants to ‘I will kill you’. Pragya advised her to delete the message. They argue whether to reveal the message on media or not. Assassinator Vijay shows Alia his setting to kill Pragya by making her stand under the candle stand and he would make the candlestand fall on her face by cutting the rope. Pragya comes under the candle stand and Alia told him to start the work. Bulbul who was keeping an eye on them thinks she can relax since the function is about to get over. Bulbul spotted Vijay standing with Alia but not able to recognise them and they made a successful escape. Alia burns the rope, Bulbul finds out the rope burning and try to get extinguished the fire Bulbul ran to save Pragya and falls on her place saving her from burning candlestand. Abhi and all got shocked after seeing the candlestand fall on her face. They all rushed towards the hospital taking her. Sarla comes and cries in front of the doctor begging him for a new life. Dadi told her to calm down. Abhi comes and assures her that nothing will happen to her as they all are with her. Pragya cries badly hugging Dadi, she assured that Bulbul would be all right and she sacrificed her life to save Pragya. Dadi comes and told her that it doesn’t matter that how much powerful the evil forces would be but they would definitely win over it. Alia comes and told Purab that she would not let anything happen to Bulbul. 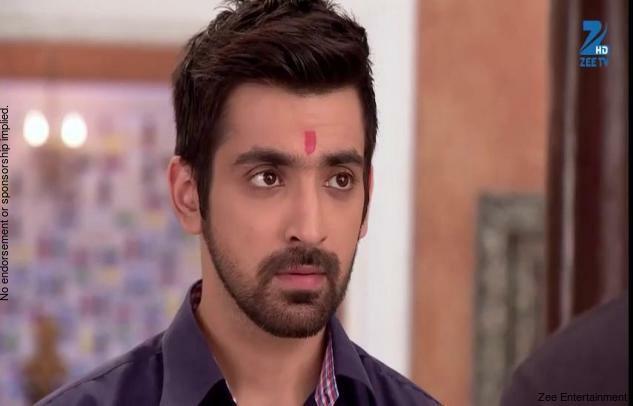 Purab begs her to go in the room and told her sorry in place of her. Alia assured her that she would be alright, she founds a chance and shamelessly hugged Purab, others keep on eyeing them.